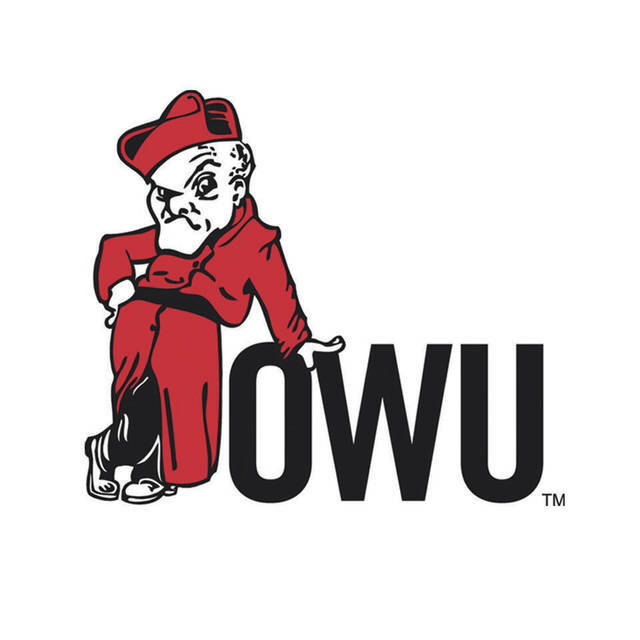 DELAWARE – Ohio Wesleyan softball coach Cassie Cunningham likes having sophomore Aimee Duckworth at the top of lineup because she sees a lot of pitches and she communicates her observations to the rest of the team. So, when Duckworth went into a bit of a slump (6-for-31 over an eight-game stretch), Cunningham offered her some extra coaching during batting practice before Thursday’s home-opening doubleheader against John Carroll. Duckworth listened and adjusted. She went 5-for-7 with a walk to help OWU to a split in non-conference action at Margaret Sagan Field. Duckworth hit a two-run double in the fifth inning of the opener to tie the game 3-3 and followed with a bases-loaded walk to drive in the first of four runs in the sixth to help OWU to an 8-3 win in the first game. The win snapped a six-game losing streak for the Bishops (5-13), who feature eight sophomores, five juniors and a freshman this season. Duckworth doubled twice and got three hits in the second game, which OWU lost 5-4 in eight innings. The Bishops worked out of a 2-0 hole with a pair of runs in the sixth and came back to tie it again in the seventh after the Blue Streaks had taken the lead again. JCU got an RBI double by Kristen Jesberger and scored what turned out to be the game-winning run on an Olivia Schweiger single with two outs in the eighth. Buchanan hit a RBI single in the bottom half and was the tying run at second when the final out was made. Baylee Small had four hits and scored twice and Buchanan and Madison Bridger each had two hits and drove in two to lead the Bishops in the second game. Buchanan took the loss in the circle for OWU. She allowed three runs, one earned, on five hits and struck out one over four innings in relief of Madi Drabick, who allowed two earned runs on five hits and three walks with a strikeout over the front four. Jenn Patterson got the win for the Blue Streaks (10-8), who snapped a four-game losing streak with the win in the second game. She went the distance and allowed four runs, three earned, and scattered 13 hits and a walk and struck out five. Jesberger, Elizabeth Fraas and Caitlin Fitzsimmons each had two hits and an RBI to lead JCU in Game 2. Bridger and Small played big roles for the Bishops in the first game. Small got OWU on the board with an RBI single as a part of a four-run fifth. JCU had taken a 3-0 lead on an Emma Gurely RBI double, a Quinn Sobiezczanski RBI single in the fourth and a Lindsay McKnight RBI single in the fifth. Nicole Peak got the win for OWU in Game 1. She allowed three earned runs on six hits and a walk and struck out three in a complete game. Jessica Cook allowed four earned runs on seven hits with six strikeouts over five innings and took the loss for JCU. Next up, OWU travels to Hiram to begin NCAC play Saturday afternoon. The doubleheader is scheduled to begin at 1 p.m.